Evelyn loses her husband in a bar bet. The thing is, she's not entirely sure she wants him back. A smart, feisty, subversive comedy about the important things in life: love, freedom, karaoke... and never letting frozen yogurt stand in the way of your dreams. 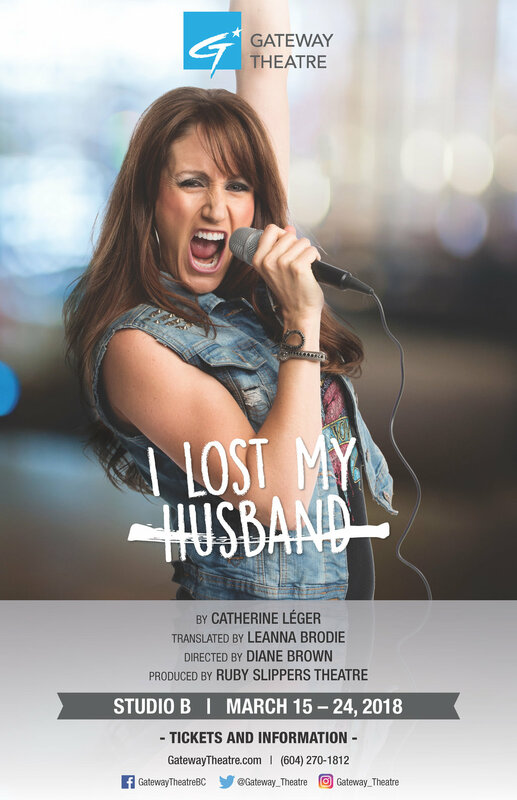 Catherine Léger's comedy, J'ai perdu mon mari, was a hit in Quebec, and we are proud to present the World Premiere of Leanna Brodie's translation: I Lost My Husband. Diane Brown returns to direct this wickedly funny play about the aging party girl and her dreams of independence.